They have taught me many things. While I cannot share them all, I will choose this one -COURAGE. A simple word but complex and rich. Through my work as spiritual care counselor at Hospice of Santa Barbara, I see regularly the courageous nature of the human spirit. People in their illness or trauma frequently endure outrageous physical pain, emotional devastation, and spiritual distress. I think of the client who faces the ravages of cancer, Parkinson’s disease, ALS, or advancing Alzheimer’s. I think of someone who is grieving the family member actively dying or someone who has suffered a significant loss. I see the deep and haunting suffering that takes place. This often results in emotional chaos, confusion, anger or denial. 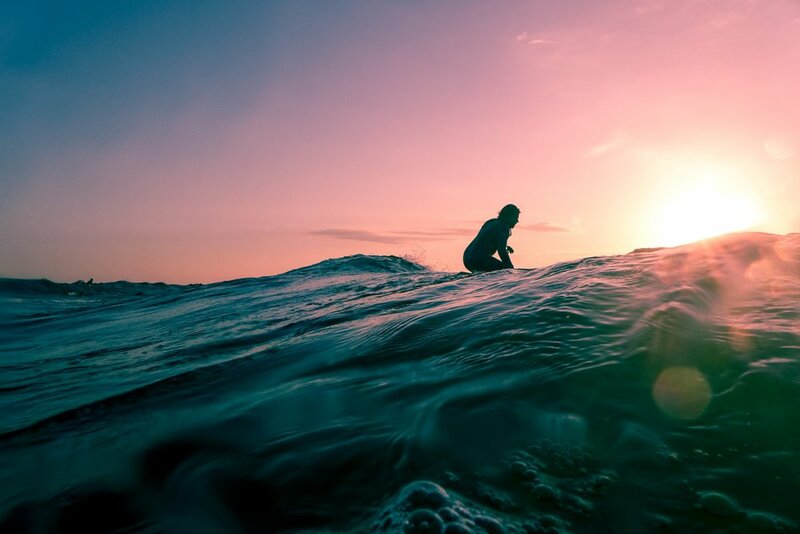 Yet, so often, in spite of fear and despair, people find ways to reach within themselves to discover resources of the spirit to rise above the terror of the moment. In doing so, they muster the will to rise in the morning, make breakfast, deal with the physical and mental distress, attend doctor’s appointments, take treatments, and live to another day. I am humbled to witness such courage! True grit. Courage is birthed in the midst of doubt and quagmire. Courage is a hopeful response to unwanted attacks on one’s body. Amidst mental and emotional instability, courage can seem momentary. But courage also has deep and profoundly enduring qualities within the human soul. I have seen it. I have been inspired by it! I always support a client’s resolve and resiliency (courage) in facing life threatening illness or circumstance. I seek to empower the brave spirit within, or to rekindle it, in spite of all odds, or until the end is obvious. Spiritual care pushes me to consider the absurdity of faith (courage), the trust in a transcendent reality, the higher power within. 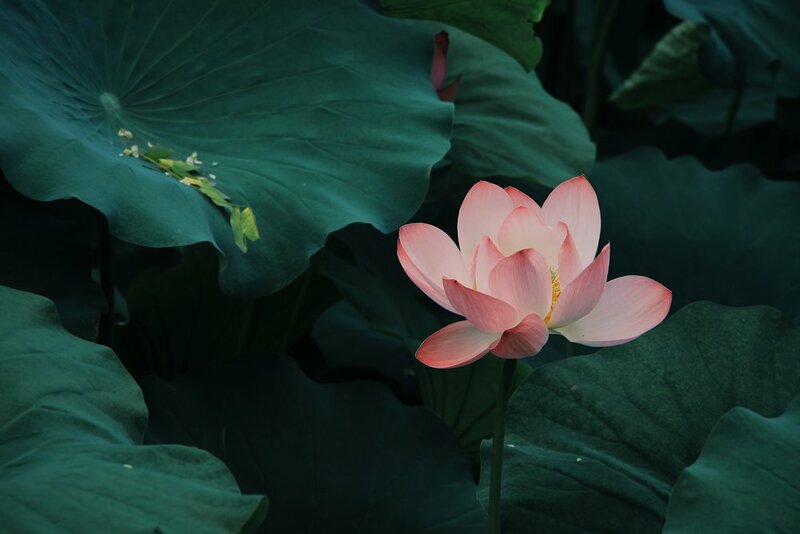 Take the absurdity (courage) of the lotus flower (one variety is the nelumbo nucifera), patient for the precise moment when it rises from the swampy, forsaken mud below, full of grace and beauty. I have seen its serendipity in the life and death of clients. I would describe courage as an agent for change, not a virtue like love or compassion or forgiveness. There is an audacity about courage. Courage allows change to take place, allowing for resilience, love, compassion, even wisdom to spring forth. In living, and dying, courage allows divine wisdom to blossom. This is courage’s striking nature. Courage stirs “being” and “becoming” and “grounding” to come alive within the soul. Courage is real and dynamic. (See Paul Tillich’s “Courage to Be” and Rollo May’s “The Courage to Create”). In my experience, the elderly, the dying, the ill and the compromised, the shut-ins and the isolated, the poor in spirit or in health, people with powerless or muted voices, may have a final word, and that is courage. Those whom we value the least may have, as Franciscan priest Richard Rohr opined, the most to teach us about living and dying. As I see it, we should never underestimate the lighthouse in those who live on the fringes of inclusion, but show us the way, anyway.